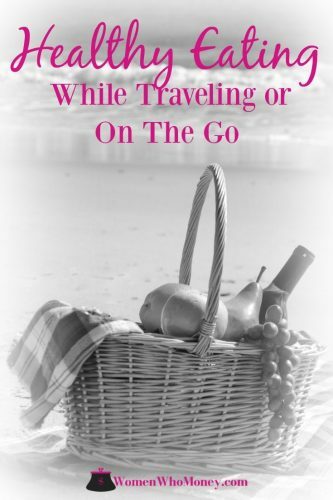 A big struggle many people face while traveling is eating healthy foods. While enjoying delicious tasting food is often a big part of vacations, it’s wise to choose the healthiest food options available for on-the-go eating during travel times. You want to feel good and enjoy your trip, not endure an upset stomach and gain ten pounds. Because making healthy eating choices on the road or at the airport can be a real challenge, quick and convenient foods often end up taking the place of healthier body fuel when you’re on the go, go, go. But these less-than-ideal food choices can put you on the hamster wheel of experiencing low energy, weight gain, and potential health problems. It doesn’t have to be that way! You don’t have to be a slave to your travel schedule and resort to fast food or processed foods to get you through these hectic times. It’s possible to eat healthy foods, even with a jam-packed itinerary. It just requires a little bit of pre-planning to ensure success. You’ll feel better, have more energy for your vacation and travel activities, and your waistline will thank you too. Take the time to plan a little, and you can relax knowing that you won’t be derailing your healthy living efforts by spending money on and consuming empty calories that only make you hungry again a short time later. Or worse, making you feel unwell or tired. Without planning, it is easy to fall into the trap of swinging through the closest drive through when you (or your family) are hungry. Don’t wait until you’re starving to make food choices, as this almost always leads to bad decisions. Instead, plan ahead, so you don’t have to rely on your willpower alone to stay on track. Just because you’re on vacation, doesn’t mean you should take a total hiatus from your health and money-saving goals. You can still live a healthy lifestyle (and save money) on road trips by packing healthy options to eat in the car. Pack easy to carry healthy food and snacks, and keep them in a purse, bag, or backpack. This way you always have healthy choices right at your fingertips. You can pack a cooler to keep handy too, so you have easy access to cold snacks and drinks while on the road. 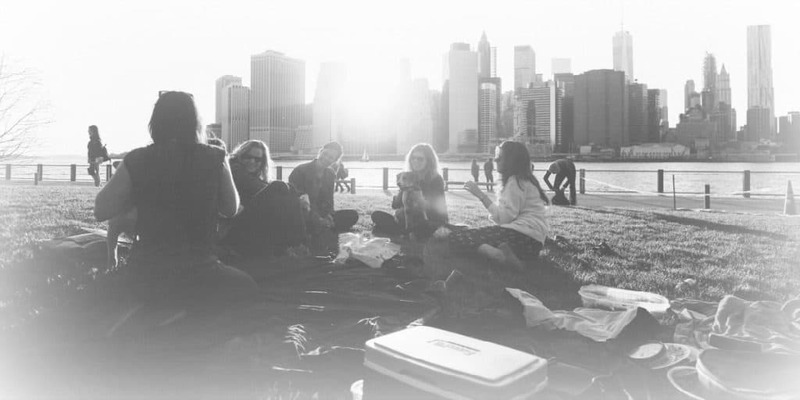 Plan on stopping at parks or rest areas along your route and pack a nutritious picnic lunch or dinner to enjoy before you continue on the next leg of your trip. Almost everyone has a smartphone with them at any given time. You can use this readily available technology to your advantage. Keep your food choices healthy when you’re on the go by utilizing these apps that make healthy living easier. 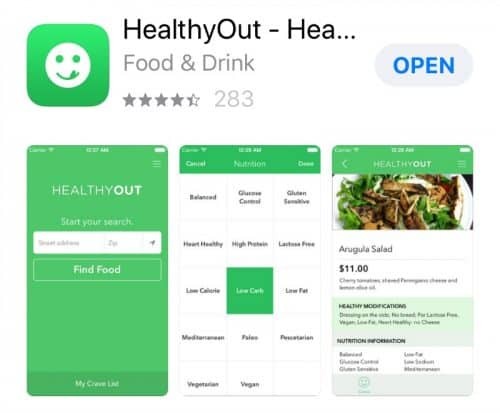 “HealthyOut” is a handy app to keep your nutrition on track when eating out. You can search by tags like meals under 500 calories, Paleo, heart-healthy, and more. 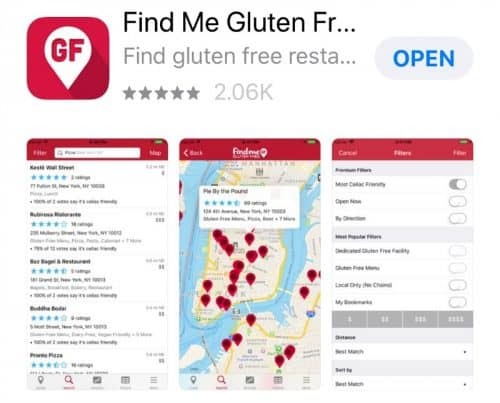 Download the app for iOS or Android to find restaurant meals that fit your needs. 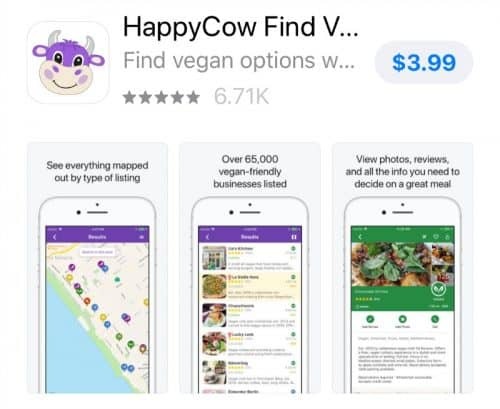 And for anyone needing vegetarian or vegan options, “HappyCow Find Vegan Food” is a top-rated app more than worth the price. The following items are all easy to prepare, and convenient to take on the go. Experiment and find out which snacks best fit your families preference and lifestyle. Mix and match options to see what works for you. Be sure to keep any perishable foods in a cooler or use an ice pack. Even with a packed travel schedule, you can still ensure you are eating quality foods and snacks. By putting in a little bit of planning, you can assure you and your family enjoy healthy options supporting your lifestyle and your goals while also enjoying your trip. I just found a new product in Aldi. It’s a portable cup of cooked quinoa packaged with a little container of pesto to mix in. It says Ready-To-Eat Quinoa Meal on the package. I bought it for my mother-in-law to try and the verdict’s not in yet since she’s on a road trip. Too bad I didn’t see it before she took off. Baby carrots and grapes are my go-to road food. I also like cooked sweet potatoes, chilled and sliced into discs. Sounds strange I know but try it. My wife usually takes an empty water bottle to the airport. Fill it up after security in a water fountain that’s available at most airports. Add that to what’s packed and we’re good for a healthy cheap meal. when traveling i always think “grocery store” not “restaurant.” the choices available in the produce, deli or carryout sections of ordinary grocery stores will almost always be healthier and more economical than any fast food eatery! When flying, I like to take Mediterra savory bars (http://mediterranutrition.com/), nuts, crackers, veggie strips (carrots, celery, red bell pepper), apples, tea bags, and even dried split pea or black bean cup-of-soups (just need to add hot water). I look for high fiber soups & my favorites are from Dr. McDougall. I’ve seen the ready-to-eat quinoa meals but haven’t tried them yet. We are also fans of taking our own empty water bottles & refilling them with water once past airport security.